(89) of Lower Yoder passed away September 4, 2018. Born November 15, 1928 son of Joseph George and Blanche Mae (Irvin) Locher. Preceded in death by parents and brothers Richard and Robert and his wife Mardell“Mert” Locher, sister Margaret “June” and her husband Steve Barron, maternal aunt Ruth “Pean” and her husband James “Hogan” Schellhammer and brother-in-law H. Roy Herdman. Survived by brothers and sisters David “Butch” and wife Pat Locher, Samuel “Bo” and wife Kathy (Stiles) Locher, Mary “Porky” Herdman, sister-in-law Nancy Locher and many nieces, nephews, family neighbors and friends. 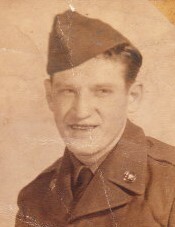 “Chick” was an Army Veteran of Korean War serving with the 15th Medical BN, 1st Calvary Division, a member of the Third Brethren Church on Spring Street; retired employee of Harris-Boyer Bakery as a long haul driver and a member of Teamsters Union Local 110.